This short story is a fairy tale for adults. It harks back to that time before our popular fairy tales were sanitized, when they inspired genuine terror. 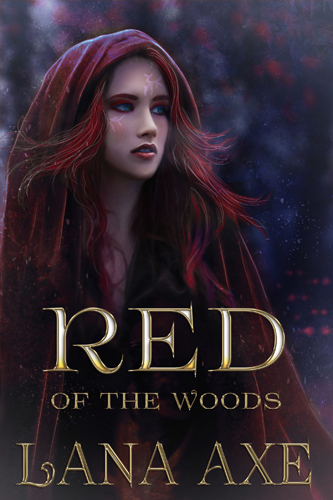 The author takes an axe (sigh) to Red Riding Hood and turns the story inside out in a new and imaginative way. The grandmother’s actions at one point seemed a bit excessive, but I suppose her thirst for vengeance blinded her to her cruelty. And I think to a story like this, you need to apply the logic of fairy tale and myth. The proofreading was excellent. The story was clean of errors. The ending surprised me in a good way. It was very apt. I received a copy of this book for an honest non-reciprocal review. This entry was posted in Review and tagged Lana Axe, Red Of The Woods on October 30, 2014 by photocosmic.